Joel J. Magliozzi takes great pride in continuing the tradition of caring and compassionate service that began back in 1864. Our firm has served all faiths since its establishment over one hundred and thirty seven years ago. Our firm has met the challenges of an ever changing world and we continue to look for new ways to better serve the community. It is our belief that funerals are for the living, and their purpose is to help you confront and manage your grief. It is our goal to assist you to plan the funeral in a way which will enable you to say good-bye in a manner appropriate for you. We are interested in helping families design custom services that celebrate life. We are committed to providing the finest facilities to ensure comfortable warm surroundings for family members and friends. We are committed to an on-going relationship with the families we’ve served through our “after-care” programs that help families continue to cherish their loved ones for years to come. 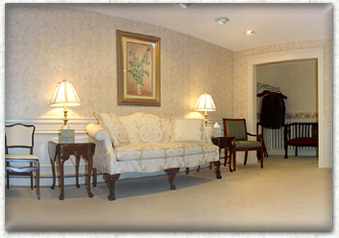 We go to great lengths to continually improve our funeral facility and the services offered. Our facilities have been completely redecorated and are fully air conditioned with ample parking. We have a music system to allow families to individualize each funeral's music selection. The facility is accessible to the handicapped, including a wheelchair on premise for those in need. The Beals-Geake-Magliozzi Funeral Home staff is experienced in providing gracious and unobtrusive service, which coupled with the peaceful, traditional surroundings, guarantees a tribute that will be long remembered and cherished by loved ones.